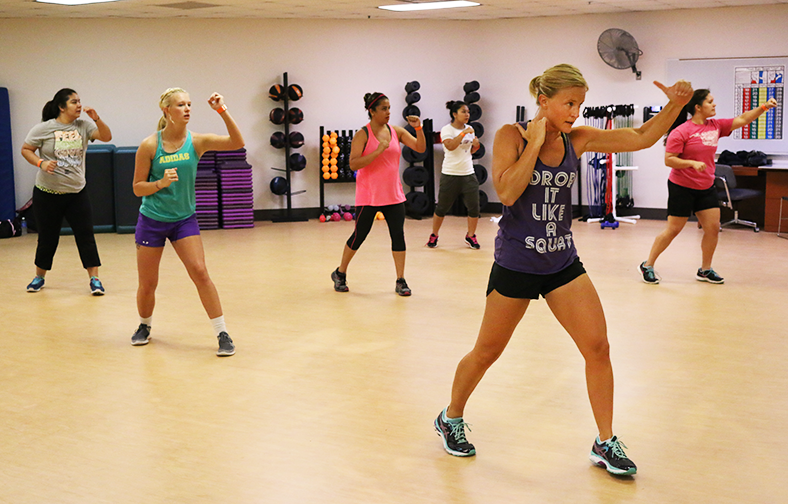 Fitness instructor Julie Slate leads a cardio kickboxing class on Sept. 22. “I’ve been involved with fitness classes over half of my life," she said. Cardio kickboxing takes place from 12:30 to 1 p.m. on Tuesdays and Thursdays in the group fitness room near the Wellness Center on the first floor of the Main Building.